I recently purchased the heartbeat earrings and am extremely pleased with them. 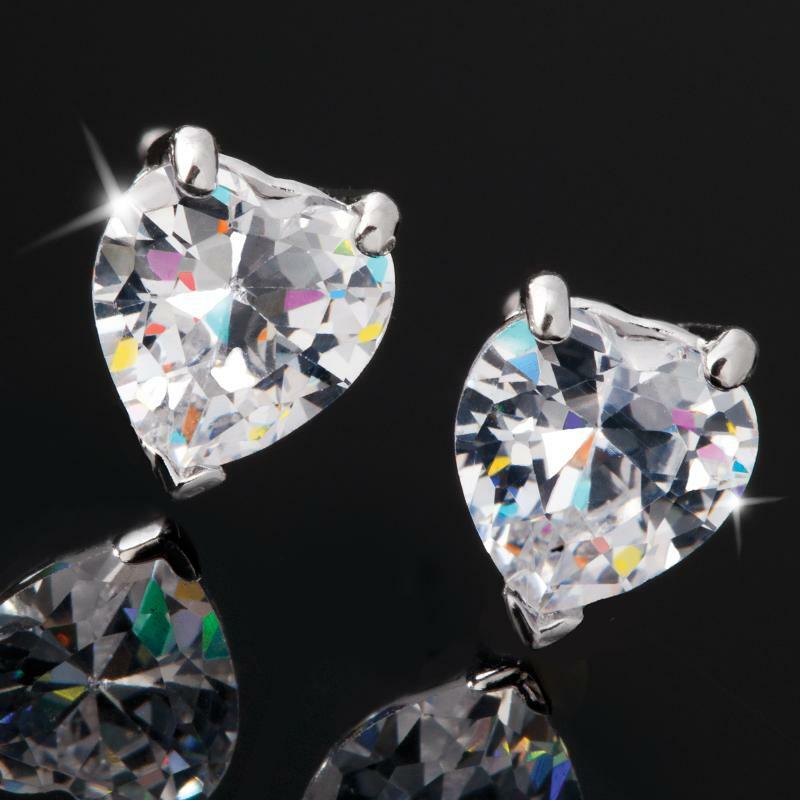 Their unique heart-shape and sparkle make them a favourite to wear. We would like to propose a brand new way of thinking about anniversaries. The average human heart beats about 100,000 times per day, or roughly 35 million times per year. Impressive, right? So why not use those big numbers to mark the passage of romantic time? Instead of simply celebrating 20 years together, go ahead and brag that you two have been in love for 700 million heartbeats! As a helpful reminder, we present our Heartbeat Earrings, a sparkling series of peaks and valleys inspired by the display of heart rate monitor. While your doctor refers to a constantly changing readout of electrical impulses to gauge the state of your cardiac health, our .925 sterling silver pendant remains as solid and unwavering as your devotion to each other. We set the jagged lines with dozens of DiamondAura® rounds, bursting with more brilliant fire than mined diamonds. Our 1½-carat heart earrings dance among flickers of white light. Show her ” and the world ” that your two hearts beat as one... over and over and over again.